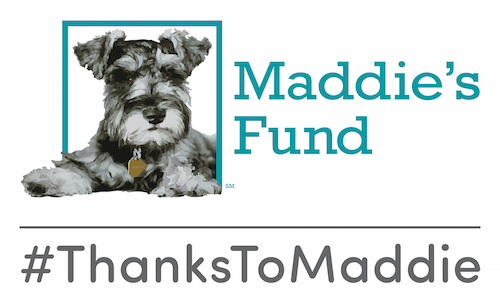 On January 8, Maddie’s® Shelter Medicine Program joined a lecture by Donald Cleary of the National Canine Research Council on The History of Canine Discrimination. The lecture was part of a monthly lecture series on shelter medicine topics hosted by the University of Florida’s Student Chapter of the Association of Shelter Veterinarians, and is part of our spring 2013 graduate-level course, Canine Discrimination, Society, and Animal Shelters. Mr. Cleary outlined the cycle of discrimination that has targeted members of the canine species over the years. Using examples from academic literature, popular culture, legal cases, and the media, he illustrated how a combination of media, myths, and politics have led society to fear certain dogs based on their presumed breed or appearance. Mr. Cleary described the groups of dogs that have been targeted over the years, starting with Bloodhounds and moving to German Shepherds, Doberman Pinschers, and then American Pit Bull Terriers. Most recently, he said, the discrimination has centered on the expanding group of dogs that are labeled as pit bulls. This group includes American Pit Bull Terriers along with an increasing number of other breeds and countless mixed-breed dogs who share various phenotypic traits, such as head shape or body structure. Mr. Cleary provided examples of how pit bulls are legally defined in ordinances around the country, showing that there is no universal definition of a “pit bull.” Because the term has become associated with such a genetically diverse group of canines, Mr. Cleary demonstrated that there is no basis for making behavioral predictions that could consistently to apply to every pit bull-type dog. Since pit bulls are typically targeted based on physical appearances, the lecture complemented the new research on breed labeling conducted by Dr. Julie Levy, Director of our program. Dr. Levy found that assigning breed labels to shelter dogs based on visual inspection is unreliable and likely to be contradicted by DNA testing. Our team conducted a national survey of more than 5,000 dog experts, asking them to guess the breed compositions for 100 shelter dogs in a series of photographs. These visual assessments were then compared to DNA breed profiles for each dog. The results? There was very little correlation between the experts’ guesses and the actual genetic makeup of the dogs, indicating that the traditional method of assigning breed labels to shelter dogs is unreliable and misleading to adopters. Shelter veterinarians are called on to help the most vulnerable animals in our communities, and many of those animals are the victims of canine discrimination. Every day animal shelters receive countless family pets and abandoned dogs who are caught in the cycle. From breed-specific legislation to the lack of pet-friendly rental housing to fear-based policies, we see the fallout of this discrimination every time these dogs come through our shelter’s doors. Shelter veterinarians have the opportunity to create change. With evidence-based policies, we can approach each dog as an individual, free from hurtful stereotypes. We can help adopters choose companions based on temperament and behavior, not appearance or breed labels. And we can educate our communities to distinguish fear from fact and support the human-canine bond. Our students left this special lecture feeling empowered to serve our communities. As we strive to see the day when our animal shelters are empty, we can get there faster by viewing every dog as an individual. We, as shelter veterinarians, can be the ones to end the cycle of canine discrimination. Learn more about the National Canine Research Council, or visit our Research pages to learn more about Dr. Levy’s dog breed identification research.